It eliminates irritations and gives comfort and freshness to face calming the problems caused by using razor, nourishing and reducing the skin aging. Before and after shaving balm formulated for making soft and fresh the skin. Recommended for sensitive and delicate skin. Before shaving: distribute uniformly on face and leave on to absorb. 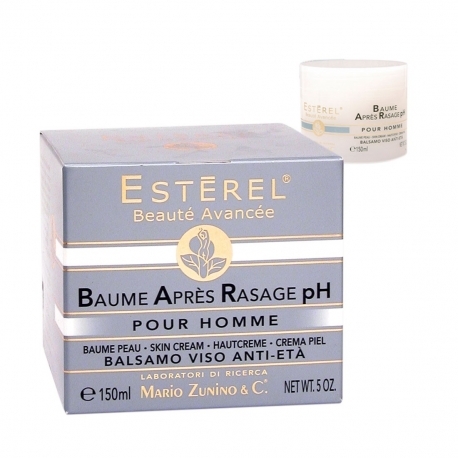 Apply as usual Créme Rasage pH before shaving. After shaving: smooth uniformly on face and leave on to absorb.